Yahoo! Movies exclusively debuted a brand new promo photo for Mission Impossible: Ghost Protocol earlier today. 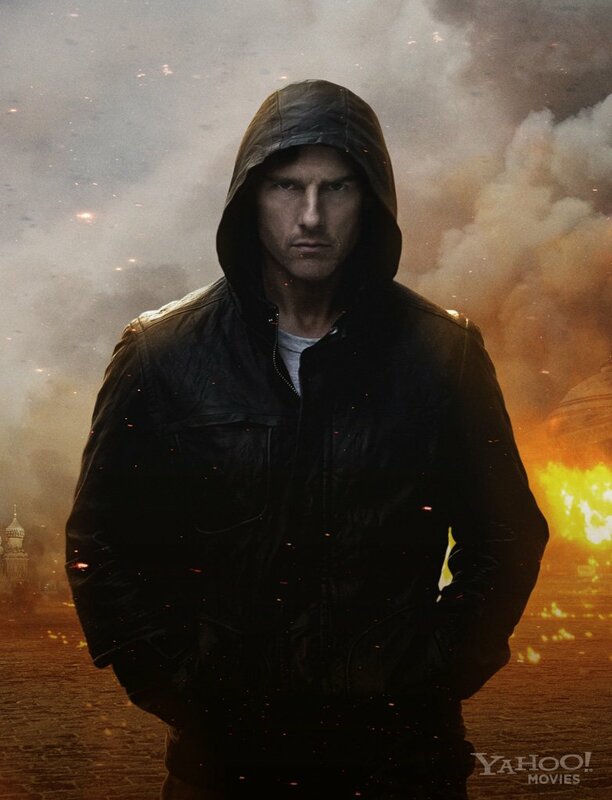 Featuring Ethan Hunt (played by Tom Cruise), it looks like Paramount Pictures is trying to say that the new entry in the franchise will not be a light affair…at all. The question that arises from director Brad Bird’s involvement is how much we will see of his charismatic directing ability. This is a franchise, which means Bird does not have the amount of leeway he has usually had with his original animated films. Will he be able to leave a unique stamp of his own on the Mission Impossible films? In an interview with Yahoo! Movies, he talks about this and more. Take a look at the new photo and a section of the article here! “…the Brian De Palma “Mission” is very different from the John Woo “Mission,” which is different from the J.J. [Abrams] “Mission.” And that appealed to me because I kind of had some different things in mind for it and was given the opportunity to do many of them. One of their fun moments when I first got on — and this thing was moving fast when I jumped aboard — was, “Do you have anything that you want to see in this spy film?” And I was able to go, “Yeah, I’ll come to think of it. There’s a few things I can think of,” and they embraced them. So it looks like even though Brad Bird came on after the project was already in development, he was still able to contribute ideas that hopefully helped solidify the character’s stories and the inevitable crazy stunts. One of the fears of Bird working on the film was that he was simply limited to the script given to him, which would prevent his unique direction from shining through. However, it looks like that was not the case, which has me more excited about it. Mission Impossible: Ghost Protocol arrives in theaters on December 21.